Step-4: Submit the “Search” button. This Portal is designed, developed and hosted by National Informatics Centre, Government of India. Though all efforts have been made to ensure the accuracy and currency of the content on this Portal, the same should not be construed as a statement of law or used for any legal purposes. NIC accepts no responsibility in relation to the accuracy, completeness, usefulness or otherwise, of the contents. Users are advised to verify/check any information with the department authorities, district authorities and/or other source(s), and to obtain any appropriate professional advice before acting on the information provided in the Portal. In no event will the Government authorities or NIC be liable for any expense, loss or damage including, without limitation, indirect or consequential loss or damage, or any expense, loss or damage whatsoever arising from use, or loss of use, of data, arising out of or in connection with the use of this Portal. How can we unlock those students who have scholarship sanctioned? 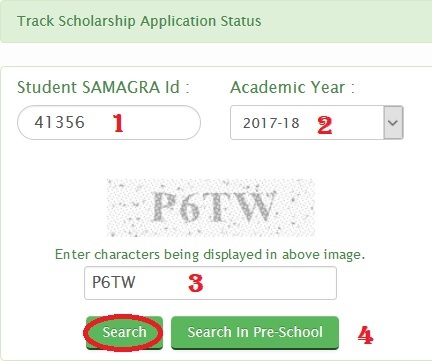 How can I map the new students of session 2016-17 on education portal because on Samagra window? I am not finding the login window. How can I feed result of 2016 class 1 to 8 in MP education portal?